Please come join us for a tour of the Destihl Brewery and Brew Hall led by fellow attorney Matt Potts, the founder and CEO of Destihl. The tour begins at 5pm on Tuesday, February 26 and lasts one hour. All those who go on the tour will receive free samples and a free Destihl pint glass. You will need to sign a waiver at the time of the tour and please wear closed toe shoes. Then from 6-8pm we will meet up with those who are not able to take the tour in the Barrel Room for an open bar and plenty of h’ors d’oeuvres, all compliments of CourtCall. A free CLE will be offered to all of the volunteers! Please join the McLean County Bar Association for a presentation on Section 1983. Mr. Thomas McClure, J.D., M.S. will be leading this one hour CLE on the statutory cause of action used to seek relief for violations of federal constitutional rights. Victims of excessive force often file §1983 actions against police officers. Other litigants have relied on this cause of action to challenge state laws and local ordinances on constitutional grounds. For example, several Minnesota voters successfully brought a §1983 suit in which they made a First Amendment challenge to a law forbidding persons from wearing clothing promoting political issues when they are at the polls. Mr. McClure is the Director of Legal Studies and an Associate Professor of Politics and Government at Illinois State University. Deadline for lower rate registration is Monday, February 11. Click on the logo above for more information on the Appellate Lawyers Association. Remember to have “Breakfast with the Bar” every Friday morning between 8 and 9 am. It’s a great way to meet and talk with your fellow attorneys in an informal setting. Stay for 10 minutes and have a cup of coffee or stay for an hour and have a full breakfast before court. 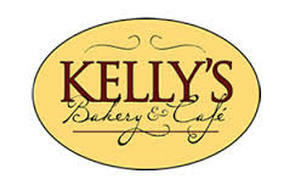 Grab an associate, partner or friend and come on down to Kelly’s. See you Friday!